Source Automotive 2" Dia. white face 0-50 mechanical boost gauge. Source Automotive 2" Dia. 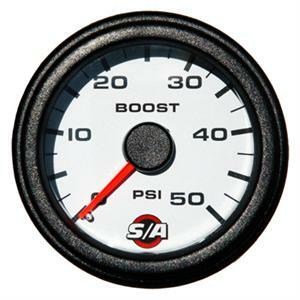 white face 0-100 mechanical boost gauge.